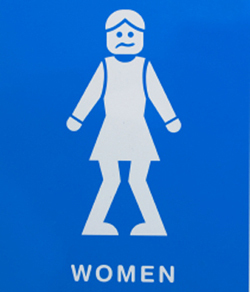 Research found that we make better decisions about our future when we have a full bladder. It’s not an April fool’s joke, we swear! An upcoming study in Psychological Science found that when we’re controlling our bladder, we’re better at controlling ourselves when making decisions about the future. In one experiment, volunteers were asked to either drink a large or small amount of water. Once enough time had passed for the water to reach their bladder, volunteers were asked to choose between receiving a small, but immediate, reward or a larger, but delayed, reward, as a way to assess their self-control. Volunteers who had a full bladder were better at holding out for the larger reward later. Although you’d think that restraining yourself with a full bladder would wear your brain out and make it harder to exert self-control elsewhere, like the concept of ‘ego depletion’ supports, since bladder control is largely an automatic, unconscious process, it works in a different way. Researchers explain that the inhibitory signals sent to a full bladder “spill over” into other inhibitory responses such as withholding from immediate gratification for better things in the long-run. With all this talk about spilling, how good are your decision-making skills right now? Check out the news coverage from CNN, MSNBC, The Globe and Mail, The Telegraph, and The Vancouver Sun.